I get it. I’m tired too. I took a two hour nap this afternoon. Worse than tired, we’re stressed. Stress kills. 53% of medical issues reported are rooted in stress. This is not how God made us to be. So why am I tired? 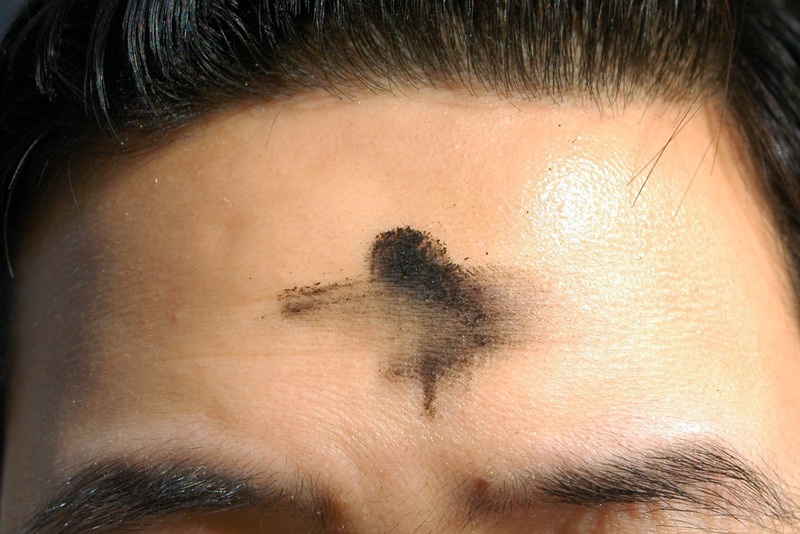 I've always felt sort of funny on Ash Wednesday every year, walking around with what I know is intended to be a cross, but despite the pastor's best artistic intentions, always looks more like a grease smudge. It's an interesting feeling. When I was younger, it was the same feeling I used to get when I had to walk around middle school with a pimple on my forehead. But as I've gotten older, it has become a mark of God's grace and deliverance that I am proud to wear. I didn't intend for this to be an Ash Wednesday-themed post, but it got me thinking about the marks we bear, for ourselves, for the world. I never know quite how much to trust stuff I find on Wikipedia, but according to Wikipedia and a few other sources, skin scars when the dermis (the deep, thickest layer of skin) is damaged. Simply and generally put, scars outwardly represent a deep inner reality or occurrence. They outwardly express when something has cut us deep. The marks you bear will be caused from what has cut you deepest. Think physically, spiritually, mentally, emotionally. What has cut to you deepest? Has it been the pain you've had to endure for the past three months, the past three years? Has shame cut you deep? Has your insecurity? Have anger, bitterness, jealousy? Has it been the laundry list of ways people have wronged you, and you just can't find it in yourself to forgive them? Or maybe it's one person, one time in your life, one period of suffering and pain that has cut you deep. I cannot undermine any of these things; they are difficult, heavy burdens to bear. And they get to us deep. The reality of shame, pain, regret, all cut deep. No matter the depth of your shame, it will always land in the shallow end of God's grace. And no matter your scars, your Savior's many scars from the cross will always cover over yours. And here is the reality: the marks you bear will be caused from what has cut you the deepest. If pain, bitterness, regret, anger, jealousy, have had the most significant effect on your life, those will be the marks you bear - for yourself, and to the world. A lot of times in an argument, we always want to have the last word, the final punch. It's kind of silly if you think about it, but the last word, to us, defines who "wins" the argument. Your story is an incredibly important one, no doubt. But the scars you have - whether they be physical, emotional, spiritual, mental - do not have the last word on your life. They do not have the final say determining the victory. His do. And when we accept His healing grace, His formative and beautiful love, He marks us with something different. We are marked by the Holy Spirit, by grace, by light, by life. When the reality of what Jesus has done for cuts the deepest - deeper than your hurt, deeper than your anger - these will be the marks you bear. And suddenly your scars have been turned into beauty marks. The blotched gray smudge on your forehead has become a mark of God's grace, of your freedom. The funny thing about those ashes is that there is almost no way to hide them; they are placed at the forefront of your image, whether you like it or not. And your face is likely the first place people will look, the first aspect of you, that people will notice when they see you. The temptation for me on past Ash Wednesdays, when I was insecure about the ashes so declaratively on my forehead, was to rub them off. Subdue them. Make them a little less bold and noticeable so I didn't stand out. But in bearing the marks of God's grace and sacrifice, of his crazy wild heart for you, I would challenge you to bear your redeemed scars and the marks you bear unashamedly. Don't dum them down. Don't rub them away because of you're insecure. Don't retract from their boldness. The marks we bear tell great stories. Don't shy away from telling yours. Beautiful Rendition of "In Christ Alone"
Throughout history in Christianity, Lectio Divina (Latin for “divine reading”) has been a traditional practice of scriptural reading. It is specifically used by Benedictine monks and followers under the Benedictine tradition. The practice is intended to promote communion with God and to increase the knowledge OF God's Word, rather than just knowledge ABOUT God’s Word. The practice consists of reading the text with as little lenses on as possible. It does not treat Scripture as texts to be studied, but as the Living Word, pieces of communication from God that should touch the very soul of each person. "For we know that if the tent that is our earthly home is destroyed, we have a building from God, a house not made with hands, eternal in the heavens. For in this tent we groan, longing to put on our heavenly dwelling, if indeed by putting it on we may not be found naked. For while we are still in this tent, we groan, being burdened - not that we would be unclothed, but that we would be further clothed, so that what is mortal may be swallowed up by life. He who has prepared for us this very thing is God, who has given us the Spirit as a guarantee. Recently in Germany at Munich’s Hellabrun Zoo, twin polar bear cubs were born, and a video caught on tape them opening their eyes for the first time (see it here: http://www.youtube.com/watch?v=CGbGYyLIJ6I). According an article detailing the event, they first opened their “beady, black” eyes because the felt their mother’s warm breath breathing on them. After a minute or so of feeling her breath, the cubs opened up their eyes to the real world. So as strange as it might be, enter this scenario with me: you’re a polar bear, and you’re born into a zoo by your mother, who spent most of her life in the wild of Alaska. Everything about her is wild by nature: the way she can swim nearly 20 miles a day in the ocean, the way her breath smells from hunting for fresh food. And yet, when you open your eyes after smelling her wild breath and sensing her strength, already engrained with that longing in you for the wild and free and beautiful, you find yourself in a zoo enclosure, a confined pool. Sometimes I forget how to properly walk. In the moments when I lose my balance I correct by shifting my weight forward and by keeping my feet moving. And so it is with the spiritual life. Today... think about this concept. 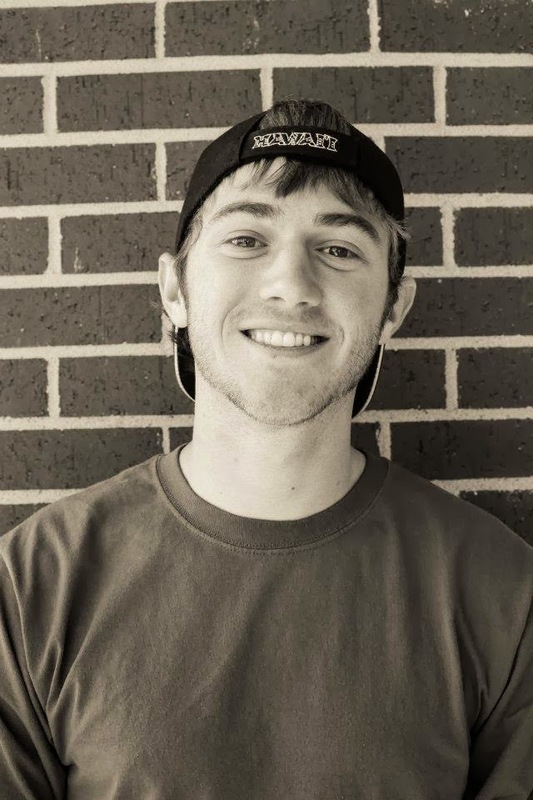 is a theology student majoring in Psychology and Counseling at Ozark Christian College. He works in the library at OCC, helping students with research. 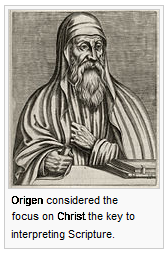 He enjoys writing, reading, and listening to Gregorian monk chants in his spare time. Perhaps his favorite thing to do however is connecting people to the local church and seeing people grow a lifelong commitment to Christ and the community. For so long, I struggled with uniting the God of the Old Testament with the God of the New Testament. They just seemed like two separate entities, like two different people with distinct value systems and beliefs. It seemed to me like it was the Old Testament God of wrath vs. the New Testament God of Love. I would look at Old Testament verses like those in Deuteronomy 7, where God commands the Israelites to “destroy” seven nations of people completely and to “show them no mercy,” alongside verses like Luke 6:36 where Jesus tells the people to “be merciful, just as your Father is merciful,” and just get big question marks above my head as to how the Gods that the two profess do not contradict each other. But in reality, God’s justice and wrath as shown here in Deuteronomy actually affirm and verify God’s character in a really beautiful way. Looking at the context of Deuteronomy 7, God had waited over 400 years for the sins of those people to “be complete” or “reach its full measure” (Genesis 15:16) so that the command for destruction - His justice - would be justified. So He waited, because even 100 years of iniquity was not enough to provoke the execution of God’s wrath. 200 years, 300 years: they weren’t enough either. He waited 400 years so that His justice would be justified, so that He gave these people endless chances to turn and repent, so that His wrath would not come without valid reason. And we are a culture that seems to understand this: we become angry about senseless murder (killing someone) but are a little bit more complacent about someone being killed under the death penalty (killing someone with reason). I am not at all suggesting that God’s wrath is parallel to the death penalty, but are you catching the incredible patience there in those verses? Are you catching how it reveals the depths of His love for his people? The reason God commands total destruction is essentially to protect and restore His chosen people. We are, again, a culture that seems to understand this: we become angry about a man killing a random man (senseless murder), but we support a father who must kill someone attacking his family in order to protect them (again, killing with reason). The God of wrath, the God of Love; they are cohesive, they are one. Not very often do we get to post on topics as difficult as this. The fact of the matter there is some disagreeing on what the Trinity is (or perhaps I should phrase it in a more orthodox manner) on WHO the Trinity is. The most important thing to have in order to remotely understand God is humility. We must realize and understand that we are not God, and thus we ought to be very careful in how we speak of Him. It is far too easy to fall into heresy when we have an attitude of superiority or an attitude of pride. I know that I do not have all of the answers, after all the concept of God as triune is a mystery of the faith that we need to simply accept as too high for us to understand. There needs to be humility there. At the same time, God gave us minds to use, and we are to love Him with our minds. It seems only necessary then to use the gift of the mind to study and chase after knowledge about Him... That is, as much as we are allowed to say. "The Chief Occupational Hazard of the Ministry is Pride." That was the opening line of our dorm devotional last night at my college. It is said that humans are the only creatures on the planet that, when you pat them on the back, their head swells up. Pride sneaks up on us all. When we engage in conversations with others, we are able to communicate with them in large part because there is already an understanding of what our words and use of the words mean. If there were no common consensus to the definitions and meanings of words and phrases, interaction and communication would not advance much beyond grunts, gurgles, and pointing. So it is rather fortunate for all of us that our preconceived notions of words simplify communicating. But what if we met someone who, despite having access to the same education and resources as you, just did not share our understanding of the color red? It’s not that they can’t see the color red, they can see it just find. But what if the color red had a completely different meaning for them that it did for us? Normally when we see a red light or a red sign of some kind, we generally recognize that it means danger or stop or to take sudden notice of an imminent change in situation. But for our friend, not only is the color red benign, it is actually an invitation to proceed as normal. And no matter how much we tell our friend that things are not what they seem, they insist we are wrong. In the State of the Union address this past week, Obama said the quote above. While I don’t intend to delve into, support or deny the politics of his general beliefs, I do believe his statement is very indicative of views we’ve all believed at some point. This isn’t an open door to bash on our country; however, it is a chance to objectively see the culture we’ve all been hopelessly conditioned by, for better and for worse. And at the heart of that culture is an idol of success.